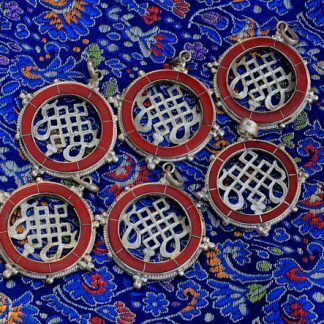 This is a lot of six Tibetan om pendants. 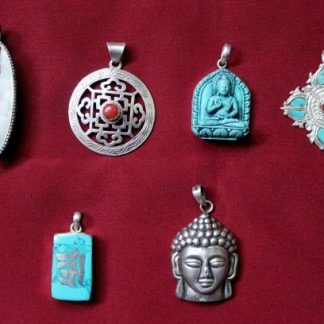 These charms are made of silver and turquoise stone. 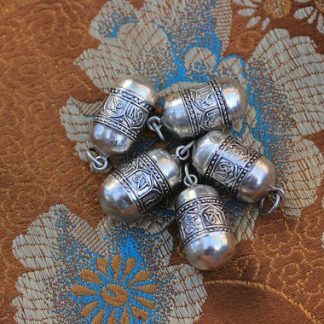 Handmade by Newar Artisans in Nepal they are the essence of Tibetan and Newari Buddhism. Recognized in both Mahayana and Vajrayana Buddhism. 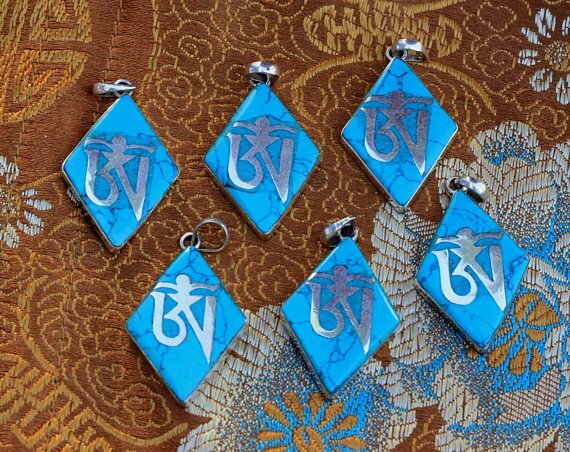 Chanting Om Mantra bring inner peace and luck in your life. 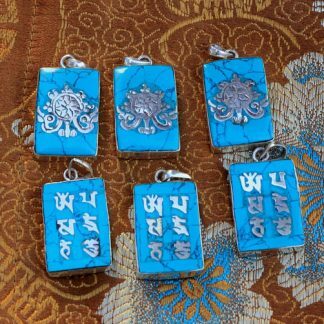 This set includes six charms where in each one sided is carved with Tibetan Om mani padme hum mantra. 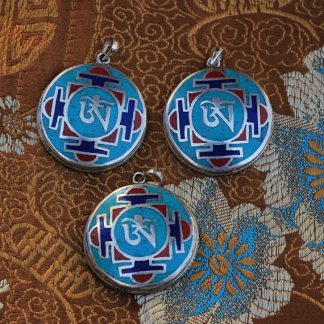 The charm is carefully inlay-ed with turquoise stone and on top is silver Tibetan Om carved by hand to make it a perfect one. 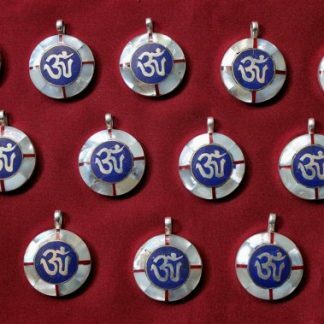 According to wikepedia: Om is part of the iconography found in ancient and medieval era manuscripts, temples, monasteries and spiritual retreats in Hinduism, Buddhism, and Jainism. 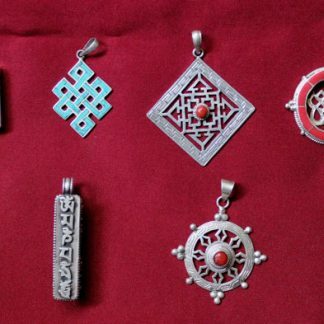 The symbol has a spiritual meaning in all Indian dharmas, but the meaning and connotations of Om vary between the diverse schools within and across the various traditions.